In an effort to streamline passenger movement and provide a higher level of customer service, Reagan National Airport has launched a multi-year capital improvement plan known as Project Journey. The $1 billion undertaking will transform the traveler experience inside terminals, at the gates and along the roads. 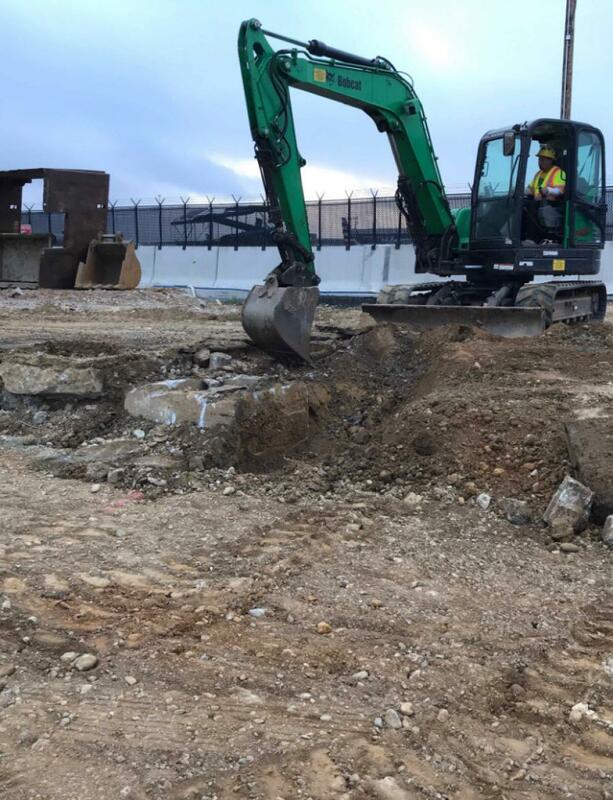 "The goal is to enhance safety, security and service efficiency for passengers, airlines and the airport," said Ryan Wolfgang, supervisory construction engineer, Metropolitan Washington Airports Authority (MWAA). "Planning discussions among stakeholders, including airport management and airlines, began more than 10 years ago. "Planners developed an in-depth document that had to be approved by Airports Authority executives and the Board of Directors. The approved building and concept plans laid the foundation for the design team to begin their work. Design commenced in early 2016." According to the Washington Metropolitan Airports Authority web site, among other improvements, Project Journey will replace the 14 outdoor aircraft boarding positions accessed by bus through Gate 35X with a new commuter concourse. The concourse will provide regional travelers with direct, enclosed access to planes via jet bridges, spacious waiting and boarding areas, diverse seating options with integrated power outlets and new concessions. The concourse design includes architectural features consistent with Terminal B/C's exposed metal beams, glass walls and domed ceilings while maximizing open, navigable gate areas and panoramic views of downtown Washington, D.C.
Reagan National's current facilities were designed to serve 15 million passengers per year. But more than 23 million passengers traveled through the airport in 2016, setting new records and straining the existing infrastructure. In response, the airport unveiled Project Journey. 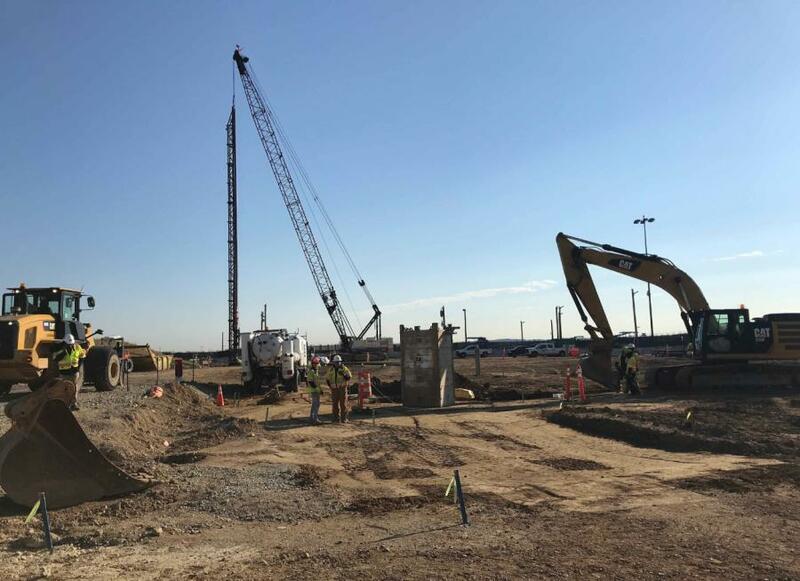 Most customers who fly at Reagan National will be minimally impacted by ongoing construction activities. Airlines and flights will continue operating throughout the project, with the usual services and amenities. Still, there may be some inconveniences, so maintaining a sense of normalcy is a top priority. 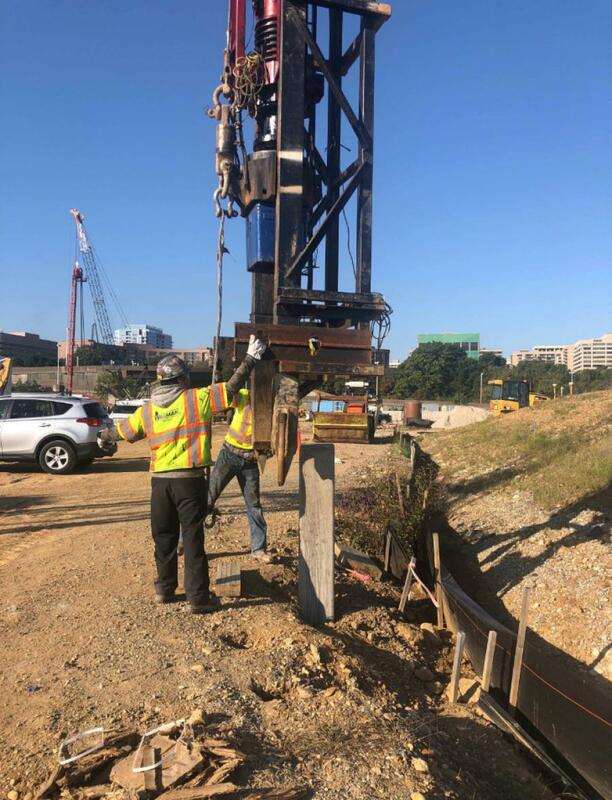 "We strive to provide passengers visiting Reagan National Airport with a positive experience throughout the construction project," said Wolfgang. "The airport meets regularly with stakeholders to discuss impacts and make the necessary adjustments to keep travelers informed." Keeping passengers updated on a regular basis is a priority for the team. The project awareness outreach campaign is far-reaching, disseminating information through airport radio station announcements, construction advisories, media outreach and partnership with the Waze map editing community. Radio advertising also is being used, along with roadway and terminal signage, tours for local and industry groups and website and social media posts. Wolfgang noted that the Reagan National Airport passengers visit today is not what it was a year ago, or even six months ago. It is undergoing changes inside and out, while supporting a full airline passenger operations schedule. Project Journey construction is scheduled for substantial completion in 2021. Wolfgang said it's extremely rewarding to see the project under way. "Knowing that the end result will transform the passenger experience by providing greater connectivity, more shopping and dining choices and a more pleasant post-security environment makes all the planning and hard work worthwhile." According to Ahmed Al Amin, project executive, Turner Construction Company, some of the biggest challenges include coordinating the construction work with the public's needs and minimizing the impact of the work on airport operations. "We are currently in the process of doing foundation work on the exterior of the airport and demolition and remodeling work on the interior. Construction of the 14-gate concourse is under way. 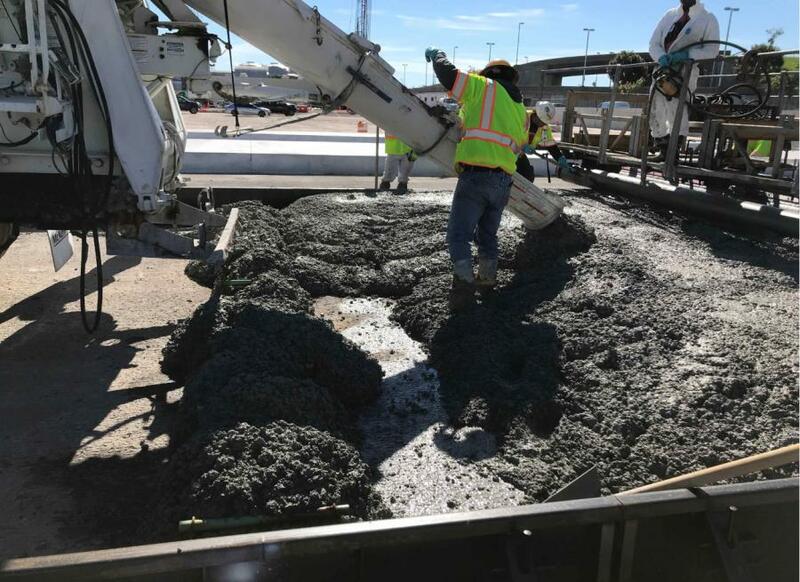 The airport continues to work with American Airlines to maintain the same level of service to passengers during construction." The new concourse will have direct, enclosed access to planes via jetbridges, spacious holdrooms, new concessions and an American Airlines Admirals Club lounge. Travelers will no longer need to ride buses from the terminal to board regional jets parked outside. During construction, there will be no noticeable impact on the passenger experience or flight operations. Work will take place behind fences, where aircraft hangars and offices once stood. A man-made, 12-ft. high grass-covered hill next to the airfield is a critical component that will enable the operation of the new 14-gate concourse to replace Gate 35X, as part of Project Journey. The hill was built using a total of more than 4,000 truckloads of crushed aggregate and dirt material. 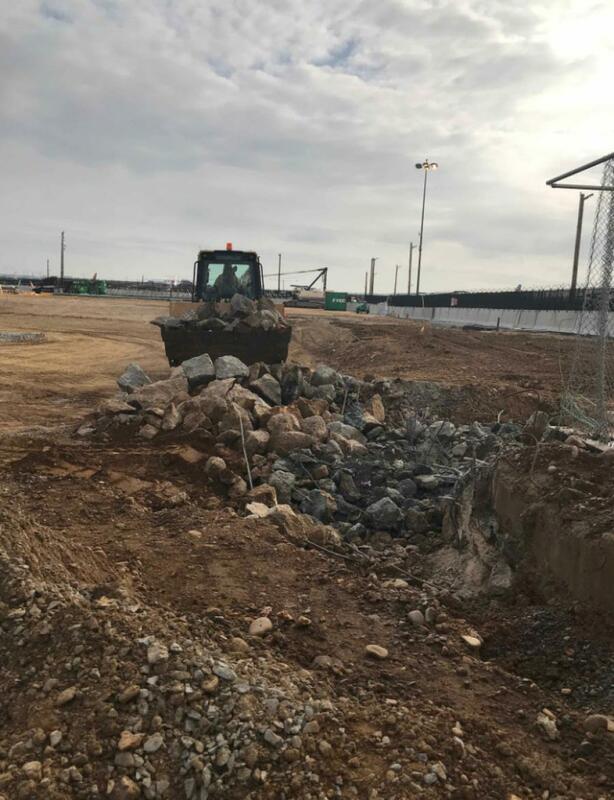 Since the area where the new concourse will stand is on land reclaimed from the Potomac River, ground water saturates the subsoil several feet beneath the surface. The soil must be strengthened before layers of pavement supporting heavy parked aircraft can be constructed, according to an update on the aiport's project web site. The purpose of the hill is to apply pressure to expel ground water beneath layers of topsoil. It is monitored for stability, settlement and water pressure. Four piezometers and 27 settlement plates, installed at various depths, provide measurements down to the millimeter. Weekly readings provide a progress report as the soil compacts. Soil settlement began in April and stabilizes in the fall. Grading and construction of a 36-in. thick apron pavement will follow. Aircraft parking will be relocated to the site, then a second surcharge supporting the new 14-gate concourse will be built. To date, a number of tasks have been completed by crews. This includes the design and engineering of new security checkpoints and new concourse, the demolition of old hangars and the old MWAA headquarters building, relocation of American Airlines ground service operations, site preparation and setting foundation for new security checkpoints and the new concourse. "The site was previously developed, so buildings were razed and aircraft parking was relocated to prepare for construction," said Al Amin. "Trying to minimize the impact of the work on the airport is one of our biggest challenges. The best way to address this challenge is to plan, coordinate and communicate with all key stakeholders." The key tasks yet to be carried out are building the new concourse and security checkpoint structures. Equipment required to perform the work includes cranes, trucks, forklifts and drilling machinery. Some of the main materials for this project include metal panel curtain wall, roof, mechanical and electrical systems, architectural lighting, fire protection systems and airside aircraft pavement and utilities. The Airport's web site states that Reagan National primarily serves as a "short-haul" airport, offering nonstop service to destinations no further than a 1,250-mi. perimeter from Washington, D.C. as part of the federally-instituted "Perimeter Rule". Over the years, the federal government has granted exceptions to this rule, allowing daily flights to several cities beyond the perimeter, including Denver, Las Vegas, Los Angeles, Phoenix, Salt Lake City, San Francisco, Seattle, Portland, Ore., San Diego and Austin. The site also states that the "slot rule" was created by the Federal Aviation Administration in 1969 at five high-density airports to reduce congestion and spur growth at other nearby airports. Reagan National's slot rule limits the number of landings and takeoffs to 62 per hour.